Today I’m linking up with 5 of my blogging buddies for this month’s installment of our “How I Style It” link-up! This is a new monthly linkup where we all get together to show you how we style our favorite fashion trends, and invite you to join us in showing off your passion for fashion as well! I’ve always loved dressing up for holidays. 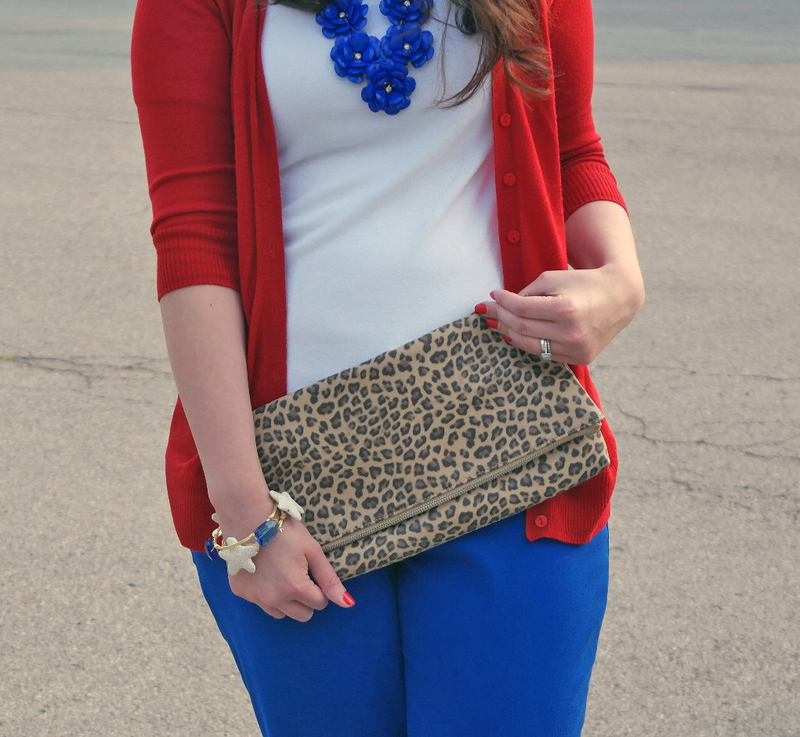 I think it’s fun to have a themed outfit, and the 4th of July is a prime time for some fun holiday fashion! I’ve have several 4th outfits that will be popping up on Instagram this week (this 1 did yesterday), so be sure to follow along. If you’re unsure of how to jump into holiday fashion, or don’t want to seem like you’re in a costume, then colorblocking is an excellent way to still get into the holiday spirit. 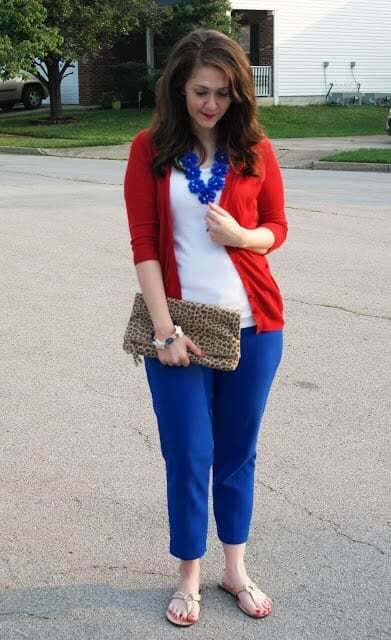 Here, I started with the red cardigan, white shirt, and blue pants as my base. The neutral color of the shirt really allows the colors of the outfit to pop. Then I just added matching accessories to pull everything together. I kept my shoes in a more neutral tone as well so I didn’t take the red, white, and blue theme too overboard. 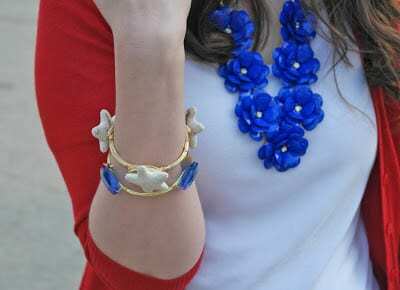 Let’s talk for a minute about my new starfish bangle from A Belle’s Baubles. I absolutely love it! It’s so summery and reminds me of my favorite place–the beach. And the cream color is very versatile, so it’s a great starter bangle or addition to your bangle collection. Even better? A Belle’s Baubles has graciously offered early access to their July 4th sale to all of my readers!!! Use code JULY4TH at checkout for 20% off of your entire purchase through July 4, 2015. Be sure to check out their sale section of the website as well. 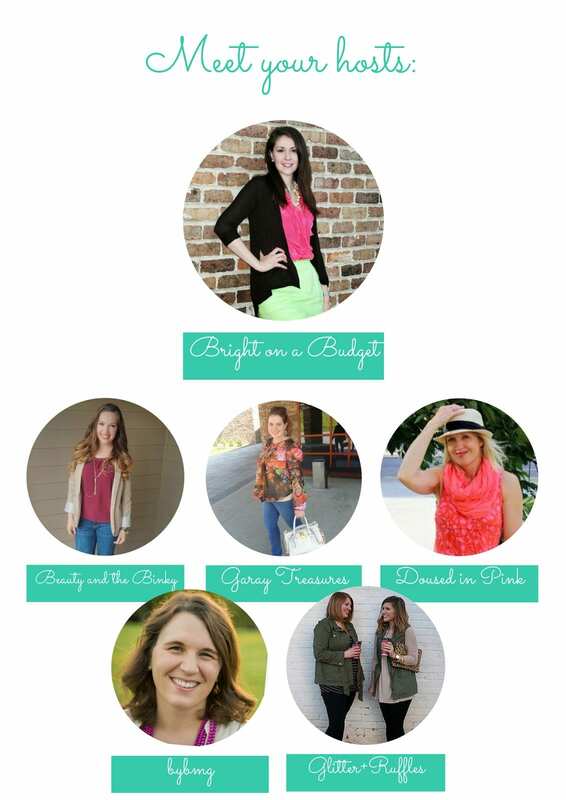 Don’t forget to stop by my co-hosts’ blogs, as well as those linking up, and check out how they styled their basic tees!!! How do YOU style your patriotic pretties? READY TO JOIN IN??? 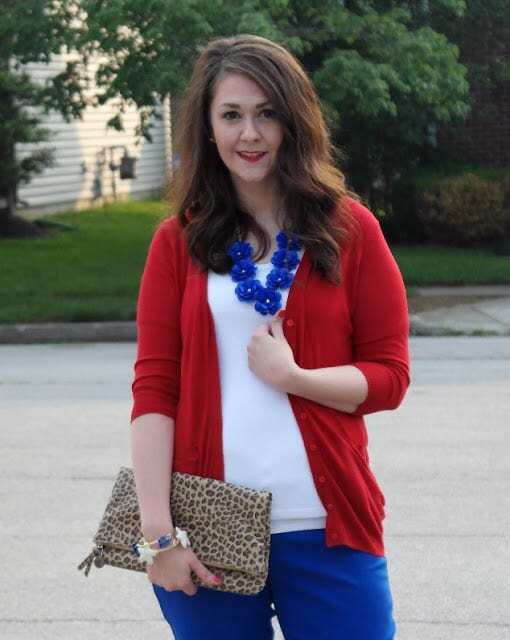 Link up a recent fashion post of yours featuring your red, white, and blue style! Please limit yourself to three links that fit the theme of the link-up. Be sure to hop around some of the other posts that have been linked up and spread the love in the blog world! Share your posts on social media using the #patrioticpretties hashtag and be sure to tag us! This link party will go live now and will end June 8th at midnight EST. Next month’s linkup with be Pattern Mixing School on August 5th. School will be back in session with the best ways to mix patterns!